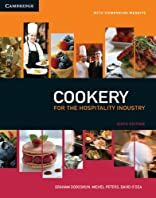 Cookery for the Hospitality Industry is the Australian standard reference for commercial cookery students throughout Australia, and for those studying vocational courses in schools. The fifth edition has been fully revised and updated to reflect the latest curriculum changes, and the many significant developments in contemporary Australian cuisine. Cookery for the Hospitality Industry will provide trade apprentices and other commercial cookery students at AQF levels 1-3 with everything they need to know to achieve trade status, and more. As such, Cookery for the Hospitality Industry is the only text for commercial cookery students which genuinely addresses the needs of Australian students, by covering Australian qualifications, and reflecting Australian conditions, Australian ingredients, and Australia's unique cuisine. This new edition includes a bonus CD-ROM, making this edition of the book a 'one stop shop' for all those learning commercial cookery. About Graham Dodgshun (Author) : Graham Dodgshun is a published author. Published credits of Graham Dodgshun include Cookery for the Hospitality Industry. About Michel Peters (Author) : Michel Peters is a published author. 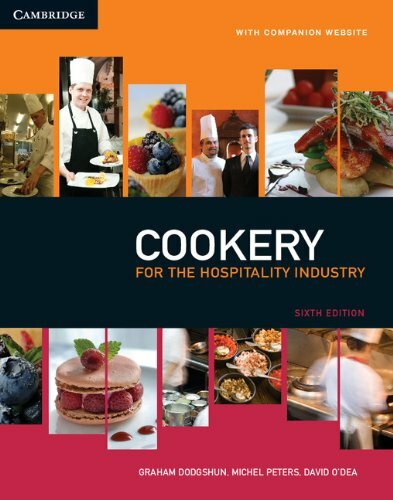 A published credit of Michel Peters is Cookery for the Hospitality Industry.